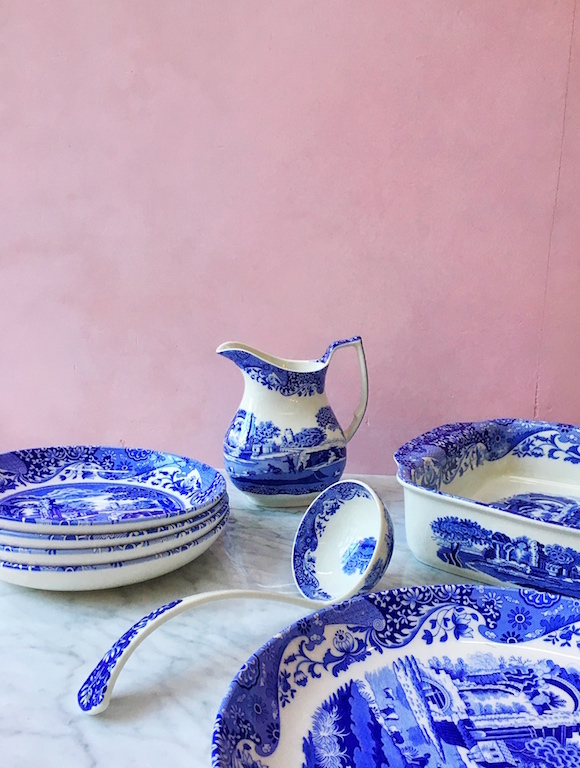 This Sunday we all officially thank our mums for being the awesome women that they are and treat them to something lovely to show our appreciation. I wanted to create a special Mother’s Day tart and blood oranges are in season, delicious & seem fitting for celebrating a blood relative. You can decorate these however you like. 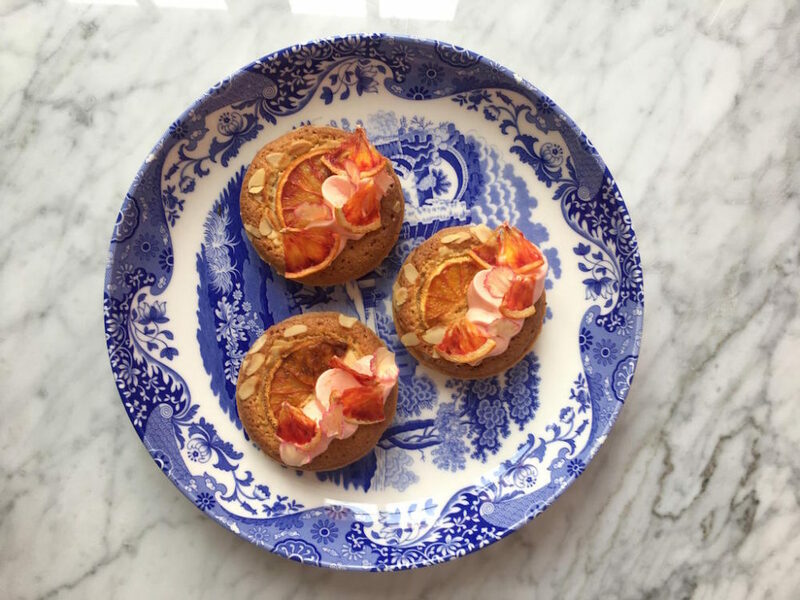 I used a blood orange creme, dehydrated blood oranges and some petals and presented them on this gorgeous Blue Italian china from Spode, which I think looks just perfect against the zesty orange of the tarts. Roll out pastry to about 3mm thickness and cut rounds to fit your prepared tray, allowing extra to cover the sides – approximately 10cm rounds for a standard cupcake tray. Press these carefully into the holes and chill for approximately 30 minutes. Line, weigh down with baking beans and blind bake for around 10-15 minutes, or until starting to brown. Remove from oven, brush all over with the egg wash and bake for another 2 minutes to seal. Spoon or pipe the frangipane evenly into each tart. 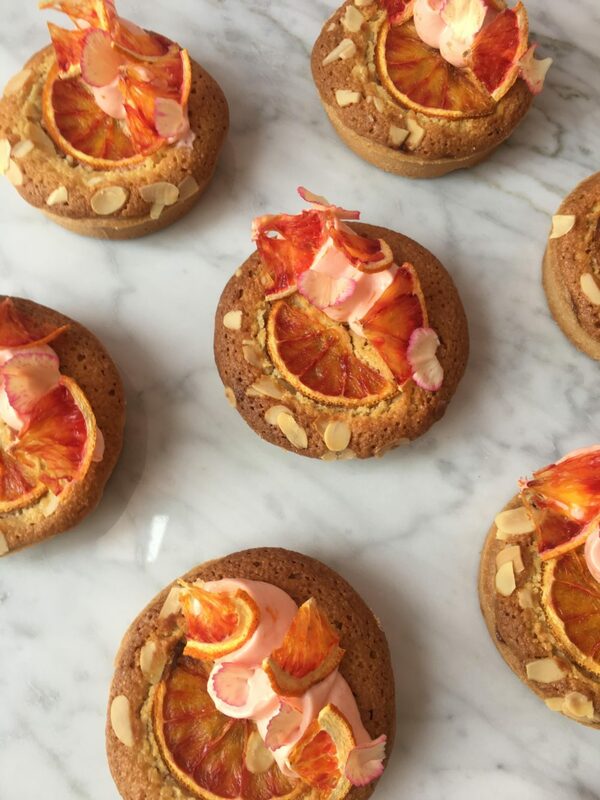 Thinly slice your orange/s, lay the slices onto the frangipane and bake for 20 – 25 minutes, or until golden brown on top. Remove from the oven and place on a wire rack to cool completely.